Blogging | All Things ICT! These are insightful words about the merits of blogging, from a teacher whose writing inspires me. This is a really good read! One of my goals this year was to see that each student in our school was set up with a blog and also to set each Grade up (Grades 4, 5 and 6) with a Grade blog which the teachers could share and take turns to post articles or photos to. Well, I can happily say that I have achieved these goals – and more. We even have a school library blog and a school sports blog going now! 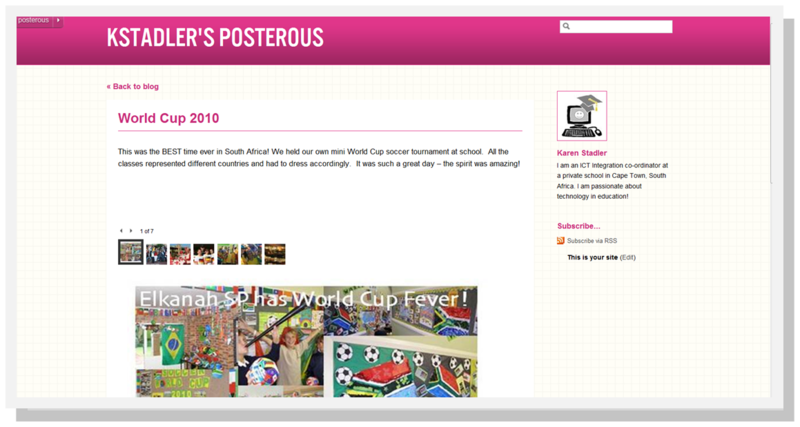 For the students I decided to use the KidBlog.org platform because it is safe and secure and can be controlled by the teacher. It is a great stepping stone for future blogging. For the Grade blogs, Library and sports blogs I chose WordPress.com simply because it has served me well and I have found it easy to use. I have to say, getting the students to blog has been a whole lot easier than getting the teachers to blog. Granted, they have more features on their blogs, which have at times, been trying for the teachers and frustration levels have been high on occasion (especially when the internet doesn’t play along and loading images takes much longer than anticipated – and you know how teachers are about their time). There have been highlights too, such as a teacher blogging via her laptop directly from camp, so the parents got the latest camp news hot off the press! The students, however, don’t sweat the small stuff and don’t worry as much about mistakes. They simply keep on trying until it works or they are satisfied with the result. We are now at the stage where the students are asking to blog, which is most encouraging! The learning curve has been a little more steep for the teachers, but we are definitely getting there. Having said this, it is difficult to keep the momentum going (my own blog is proof of this) and the teachers need reminders to blog and keep their students blogging. They seem to have difficulty in finding topics to blog about, but this will change over time and it will become more intuitive the longer they blog. I have tried to help by sending them ideas for blog posts and also links to further reading for blog posts. · It opens a window into a more personal aspect of your classroom life. · It is another way of keeping in contact with your parents. · It is a way of sharing information, content, links etc. with students and parents alike. · It could be a showcase for student work, as well as a way in which to post homework. · It is a method of reflecting on work done, learning that has taken place or places that have been visited etc. 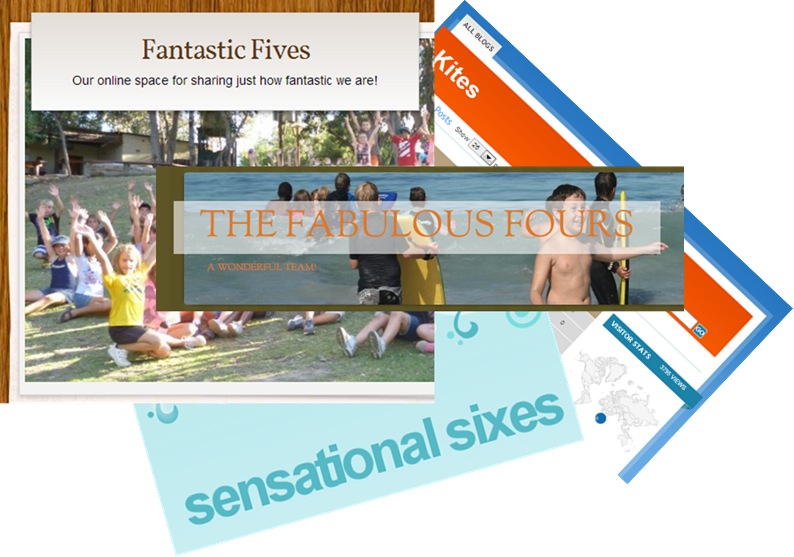 · With a blog you can share news in a paperless way! · Blogging encourages responses from parents, pupils and other visitors, so it is another way in which to engage in a conversation. · If you keep at it, it could transform your teaching and be the link to technology use in your classroom. · It teaches them to write for a wider audience, not just their teacher. · They learn valuable skills such as proof reading. · They learn how to react to comments in an informed manner and also how to write effective comments. · A student blog could become an online portfolio of work done (something I am working towards). · Student blogging forms an integral part of digital citizenship and makes up an important part of their digital footprint. · It opens their worlds up, especially when they interact with other students from around the world. · They have something that they can be proud of and which is accessible anywhere in the world. Although the blogging has come along in fits and starts so far this year, I am positive that if we stick with it and keep making the effort, the students and teachers alike will see the value in it and we will go from strength to strength. Look here for updates on our Skype Project!